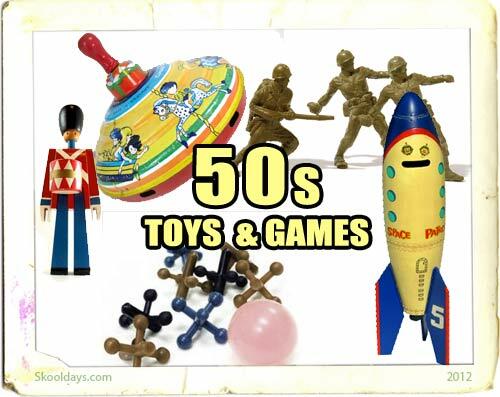 Below is a list of the type of toys your parents played with. 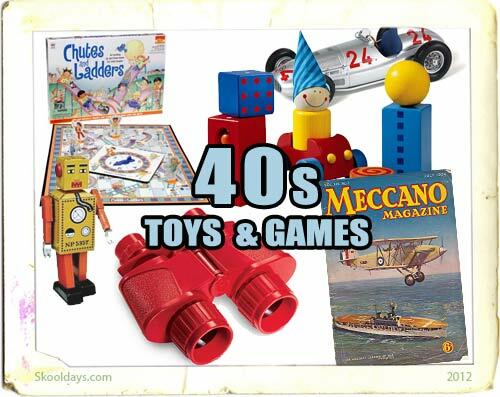 Before the days of batteries and electronics, they were more likely to rely on rubberband powered toys and dice games. From the late 60’s to the early 80’s battling tops was the family favorite in many homes. Regardless of the ages involved it was compelling enough that even the oldest member of the household couldn’t take his eyes off the spinning dance of death (the hypnotic patterns of the tops’ surface may have had something to do with it). In the late 70’s, Ideal redesigned the game in the wake of Star Wars mania as Battling Spaceships. Redesigned tops and a new space-themed gameboard around the arena added a twist or two, but the name of the game was still last-top-standing. This was one of the most dangerous toys your parents would of suffered growing up. There was no end to the broken fingers and bruises these dangerous contraptions handed out in the 70s. Had they worked only as the toy makers intended—as a noisy little twist on paddle ball games—then Click Clacks might now be collecting dust in the Hall of Forgotten Toys. But no, these little spheres had a grander destiny: the much cooler Hall of Dangerous Toys. Before the Ipad or laptops, your mum and dad had to communicate using an Etch-A-Sketch. Yes the red Etch-A-Sketch worked with a coated mixture of aluminum powder and plastic beads. There are two white knobs at the bottom of the frame, which control a horizontal and vertical rod. At the point where these two rods meet, a stylus is seen on the screen. This literally etched the aluminium dust away. If you were skilled, 3 hours later you could draw something that resembled a picture of a cat or a house. Here is one for your dad. Hot Wheels were one of the fastest die-cast cars on the planet, and Hot Wheels cars and track sets can still be found laid out on the bedroom carpet of many a young racing enthusiast. Like an Erector set for the hyperactive, Hot Wheels tracks have become the building blocks of kiddie car dreams. forget Dinky, Matchbox or Corgi, Hot Wheels were the fast cars on tracks, loop the loops and cross overs that your dad learnt all his driving skills from! We couldn’t have this list without this miracle toy. Mum and dad spent hours trying to solve the professor Rubik’s Cube. The first mystery was how did it work without falling apart. Yet alone its potentially over 3 million moves. Ask your parent is they ever go so frustrated that they split it apart using a screwdriver and used the even lower-tech solution of just taking the blasted thing apart piece by piece and putting it back together in the right order. For Yahtzee proper, a player can roll the dice three times, setting aside certain dice as he goes. The goal is to enter the heftiest five-dice combined score possible in each of the scoring categories. These categories are ones through sixes, a group of poker-esque variations, a “chance” slot and a Yahtzee slot…if he should be lucky enough to roll a Yahtzee, that is. By the end of the game, all thirteen categories must be accounted for, whether his score entry is hefty or puny. All this dizzying data was notated on the score pads, which the winner could then autograph and tape on the refrigerator if he or she was feeling not-so-modest. One for your mum. She would of been into dolls like Cindy, Barbie and possibly Care Bears. These cuties made their first appearance in greeting cards—a telling pedigree, because when the Bears evolved into a plush toy line from Kenner in the mid-1980’s, they still acted like greeting cards. They wished you well, they celebrated your birthday with you, they picked you up when you were feeling down…never before has touchy-feeliness had such an ally in a toy. If your mum isnt a good cook, it may be due to the fact she never owned an Easy-Bake Oven. These were introduced in 1963, and though there isn’t any specific inventor lore surrounding it, some say that the idea behind it came from the purchase of a warm pretzel from a street vendor. Perhaps if your mom baked and you wanted to be a chip off the flour-coated block, or if she didn’t bake at all and you wanted to become the dessert provider for the family…the Easy-Bake was for you. Before video recorders and digital cameras, if you wanted to catch Mickey mouse or Popeye cartoons, your parents either had to turn the television on at the correct TV guide time, or buy a view master. It’s a low-tech toy: no batteries required or electricity needed, and the only loose parts are the disc reels. Some of these came with a story booklet which a viewer could flip through while he viewed, but a few reels had little self-contained narratives of their own—text would appear in the middle of the viewer. GAF also introduced a short-lived “talking” version, in which an audio track played as the viewer clicked through the photos, as well as models that could project their pictures up onto a wall.